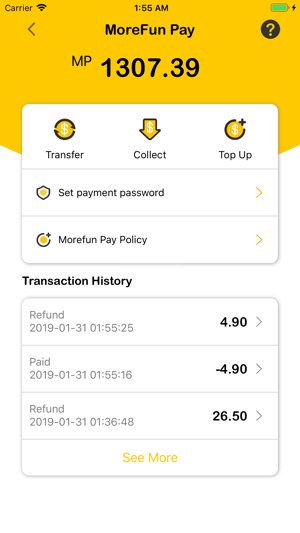 Morefun is a comprehensive travel information and lifestyle platform that provides business information for all users in the areas of catering, shopping, recreation, transportation and life services. Been ordered food for more than 10 times since last month. Delivery is ok but need to order food by one hour earlier if you are preparing to eat your lunch or dinner. 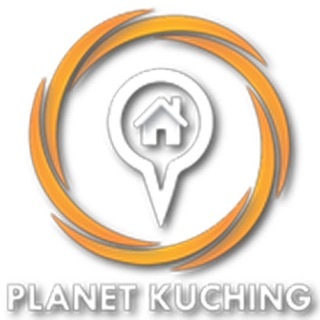 The merchants are listing their food in very high price, plus the delivery charges RM5. Need to pay RM25-RM30 per food. So expensive! If I eat at outside restaurant, one plate of fish slice rice + Chinese stewed soup just cost me around RM20. 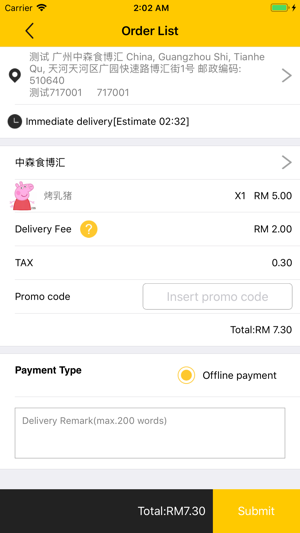 In morefun, I have to pay RM20 just for one type of food only and charge me again another RM5 delivery fee. Everything in morefun are expensive. 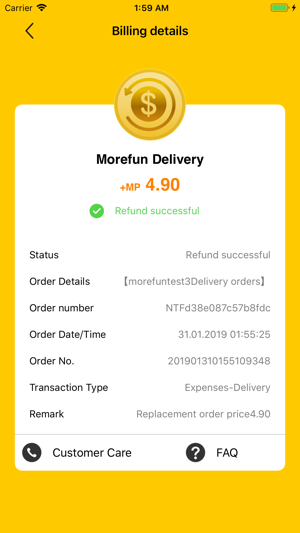 I only order with morefun when I am really busy or lazy to go outside to eat in restaurant. 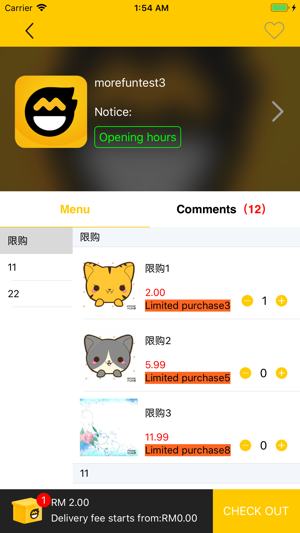 Is the app system having problem? I made an order and the merchant said it was cancelled while in my order status it was “picking up” so the merchant told me to place order again and after I placed it for some reason the order that I placed first was “delivering” while the second is still had “picking up” status. I called the merchant and the merchant told me the order was already picked up by the first order. But why is the status of my first order in their system was “cancelled” and the second ryder came to the merchant but it was already picked up by the first ruder. It has caused me and the merchant so much trouble! We don’t know how to solve this. 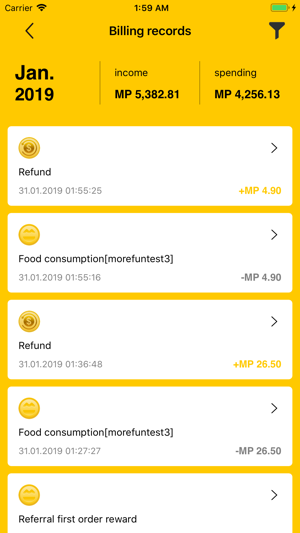 I love using this app for food delivery, however I have a few suggestions. 2. 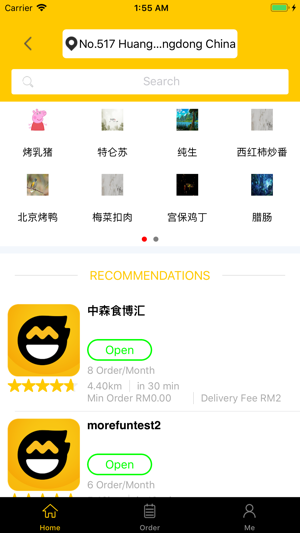 Add more delivery options for restaurants. A lot of restaurants are listed but not all of them offer delivery. 4. 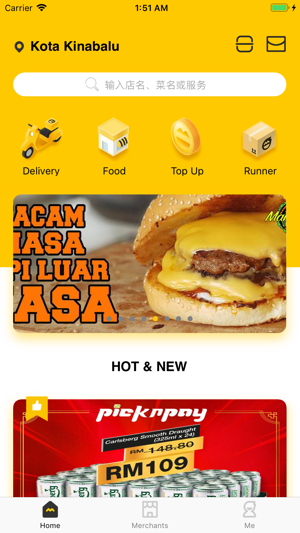 I think the RM 5 delivery charge is reasonable as it is a constant rate for all destinations. Keep up the good work! If all suggestions above fulfilled, I have no problem giving 5 stars.